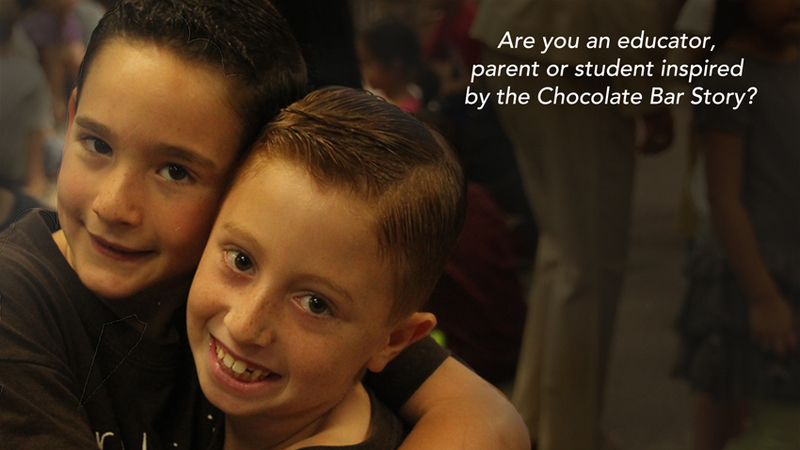 Raise awareness by sharing the Chocolate Bar story with family, friends, students and teachers. 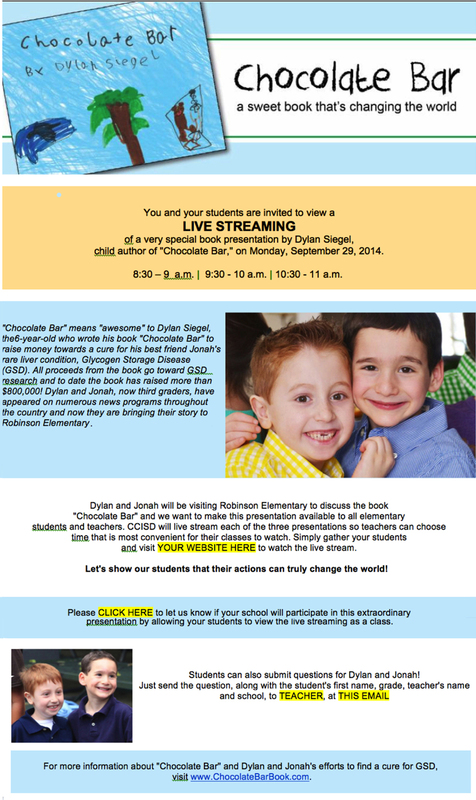 Raise the bar by selling Chocolate Bar books, shirts, bracelets, etc. Have a book sale and reading at school. Plan a walk-a-thon or a Chocolate Bar party. Have fun! 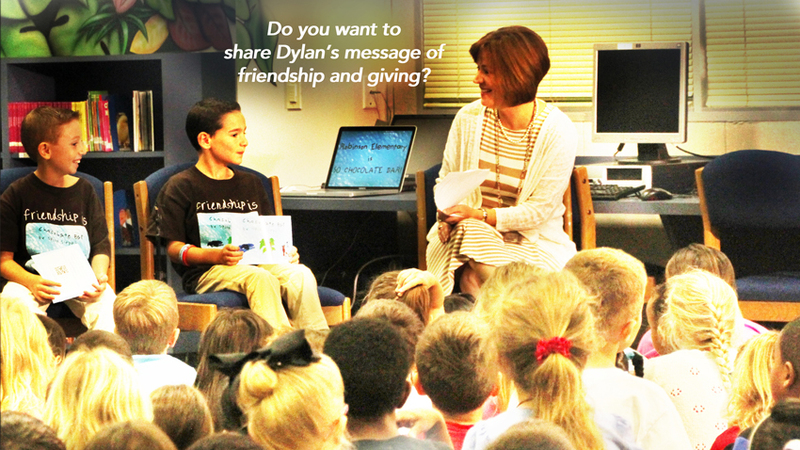 Host a live-streamed author visit and Q&A with Dylan and Jonah. 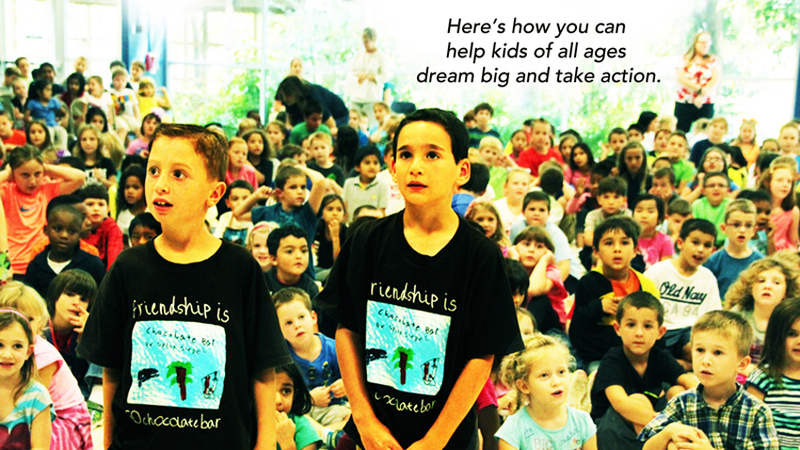 IS YOUR SCHOOL READY TO HELP? 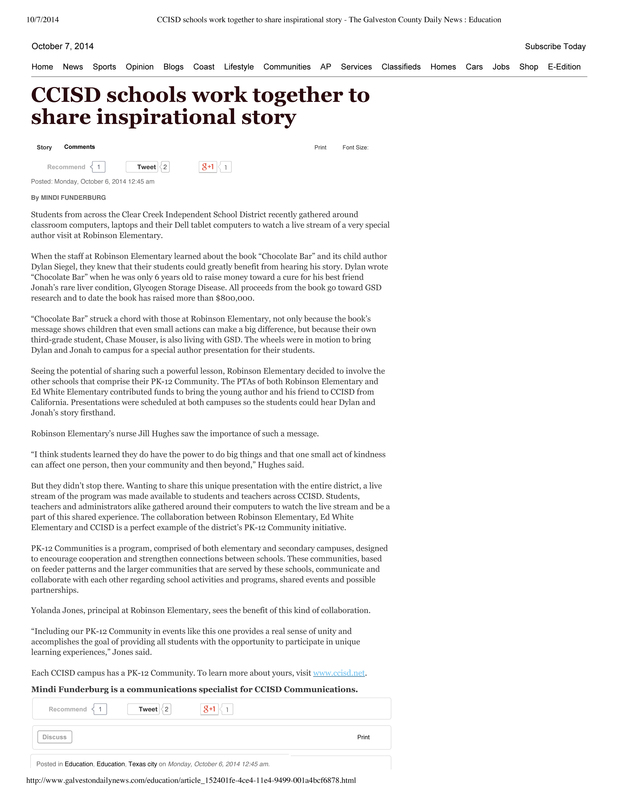 CLICK HERE to fill in our Contact form, and please be sure to include the name of your school and how you'd like to help. © 2013-2016 Chocolate Bar Book. All Rights Reserved.